The photo above is my entry to the recent photo challenge. I thought I could use one of my bird photos for the theme “gathering”, although I shot the photo by the end of summer. Some photo challenges do remind me to go through the photos which I didn’t upload yet. 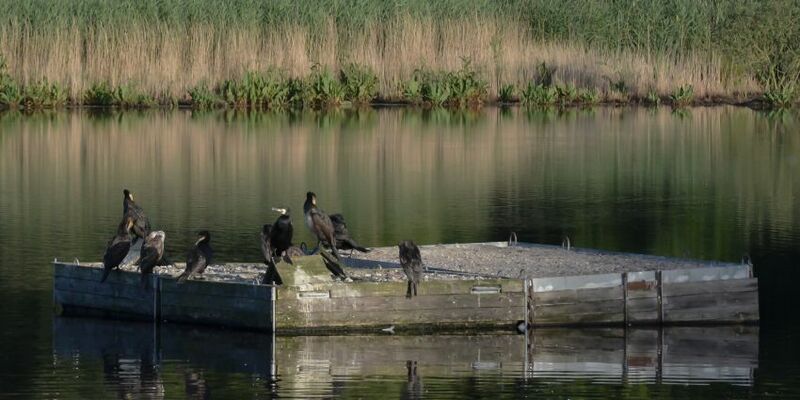 You can see cormorants in the photo, I found them when I walked through the Schellbruch preserve area outside of our city. I really like cormorants, they are very interesting birds. cool…my comment was half in jest as the picture was of a gathering of birds…. Great shot. Just for your great English vocabulary, I gathering of cormorants is called a “gulp.” Really, I’m not kidding.